Divers Institute’s faculty and curriculum are respected throughout an industry that employs our graduates all over the globe. Our program trains divers to excel throughout the commercial diving industry, from offshore petroleum production to inland underwater construction, nuclear power diving, and any other commercial/industrial underwater work. Of the 253 students available for placement between June 2016 and May 2017, 211 graduates (83%) are gainfully employed in the commercial diving industry. (DIT’s placement rates are verified internally and by a third-party verifier). Commercial divers often work weeks or months at a time on sub-sea construction, pipelines, oil rigs, and ships, performing a wide variety of tasks including construction, inspection, demolition, salvage, and ships husbandry. Inland divers maintain piers, dams, bridges, irrigation systems, and water tanks throughout the U.S., including the cooling ponds of the nuclear industry. If it’s a job underwater, our grads have the necessary skills. DIT’s international certification from the DCBC (Divers Certification Board of Canada) enables our graduates to work globally. Overseas, underwater and on the move, the one place you’ll never find yourself is stuck behind a desk. Since diving requires a unique skill set, the industry promotes from within. As long as you maintain good health and physical fitness, you can dive well into your 50’s. The industry will take you as far as you want to go. The Offshore commercial diving industry is where about half of DIT graduates begin their careers. The term offshore refers work that takes place on vessels and platforms in the open ocean both domestically and abroad. Imagine a floating football stadium that gets blasted with heavy storms or hurricanes a few months a year and you start to have some idea of the magnitude of inspection, maintenance, and repair work that divers are a huge part of offshore. The offshore industry is challenging, diverse and exciting. The major part of this work is accomplished in support of the oil and gas industry, but also includes major salvage operations and subsea construction. Some of the busiest waters in the world can be found in the Gulf of Mexico, Mexico, the North Sea, Southeast Asia and West Africa. The DCBC certification allows DIT grads to travel and work around the globe. Divers are tasked with maintenance, repair installation and removal of abandoned oil related structures and salvage operations. Skills employed to complete this work include rigging, underwater welding and burning, using hydraulic tools sets including guillotine and diamond wire saws. Many of these dives are done in conjunction with underwater robotics called Remotely Controlled Vehicles (ROVs). The term offshore refers to the fact that the work takes place on vessels and platforms in the open ocean or Offshore throughout the globe. The offshore industry is very challenging, diverse and exciting. The major part of this work is accomplished in support of the oil and gas industry, but also includes major salvage operations and subsea construction. Some of the busiest waters in the world can be found in the Gulf of Mexico, Mexico, the North Sea, Southeast Asia and West Africa. The DCBC certification allows DIT grads to travel and work around the globe. The inland sector requires a “Can Do” attitude. 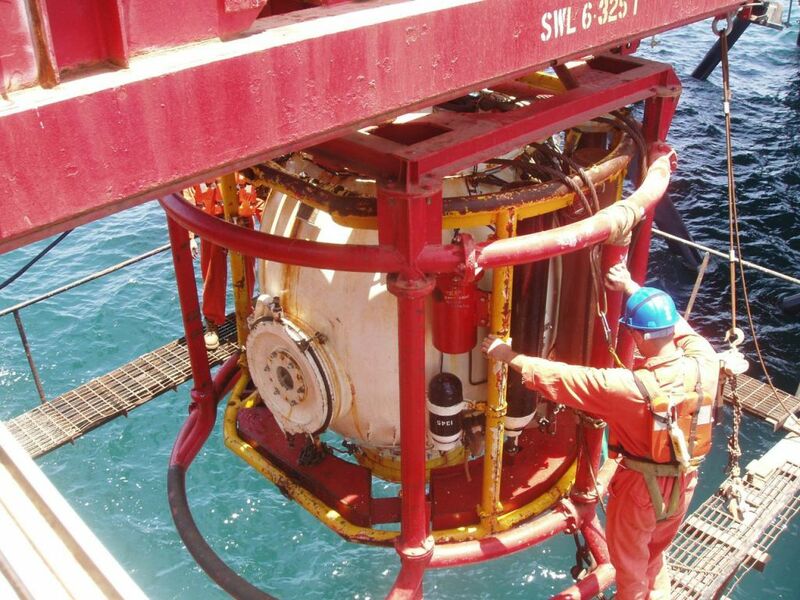 Divers can be tasked with underwater construction, in-water inspections including the use of Non-Destructive Testing (NDT) procedures, pier and pile installation and repair, ship’s husbandry, and dam and bridge work. Often working in remote locations, inland divers have to be able to improvise and use all their skills to complete a given job. Low visibility, high currents, and travel all are part of the inland diver’s world. HAZMAT diving is highly technical, requires special equipment, and is all about maintaining control in highly hazardous environments such as nuclear and hydrodynamic plants, industrial plants, and chemical manufacturing areas, really anywhere that involves bio-hazards underwater. Divers are often tasked with the containment, clean up, and disposal of hazardous materials. HAZMAT requires an array of specialized diving equipment that seals the diver’s body completely from waterborne elements. This is one of the most exciting aspects of diving as it makes one think of “sunken treasure.” Salvage diving presents several unique challenges. Divers salvage ships and their cargos, aircraft and other vehicles and structures that have fallen or sunk in the water. Sometimes the goal of a salvage job is to pull out tools or structures that are still valuable. Other times the goal of a salvage job is to remove objects or structures that could be environmentally intrusive. 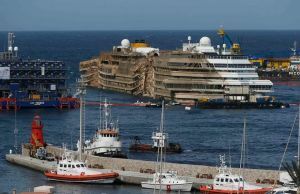 Two of the most important salvages from this century are the USS Hunley, a Civil War submarine that carried out the first successful underwater attack in Charleston, SC Harbor, and the re-floating of the Costa Concordia off the coast of Isoola del Giglio , Italy. Saturation (SAT) diving work is a small community of experienced divers who have a significant amount of SAT-specific training. Most individuals are not eligible for SAT consideration until several years into their diving career. SAT divers are pre-pressurized in specialized decompression chambers that double as living facilities equipped with bunks, dining areas, and bathrooms. SAT divers are lowered to the jobsite in a pressurized diving bell that then brings them back to their living chamber. Saturation diving is used primarily in the offshore sector, particularly in deeper waters, as in the case of the Russian Submarine Kursk.